Prime Minister Edouard Philippe has warned fuel price protesters to respect the law during the demonstrations on Saturday. Thousands of protests across the country are set to go ahead despite the government’s threats that anyone “hindering [vehicle] circulation will be punished”. As well as the traditional go-slows, some are planning to block airports including Beauvais, Bordeaux and Toulouse; while Mont Blanc Tunnel is set to be blocked, as are number of fuel depots and refineries. Police will be out in force in the Dordogne, for example, to keep roads open for emergency vehicles. 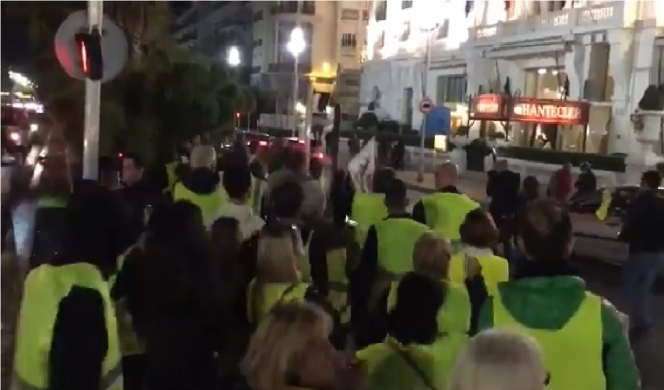 The prefecture called on demonstrators to show "a spirit of responsibility and caution in the actions taken and to avoid any incident", and urged other road users to stay at home if possible. Some protesters are planning to blockade strategic roundabouts on the outskirts of cities. Others have said they will establish 'filtered road blocks' to slow down traffic flow. According to reports, demonstrators could block roads completely for 20 minutes out of every 30, or just allow a set number of vehicles pass in a given period. Interior Minister Christophe Castaner has said that police will step in if necessary in to clear blockades. The law states that unlawfully obstructing public roads can be punished with a fine of up to €4,500 per infraction, as well as the loss of the driver's licence and impounding of the offending vehicle. Elsewhere, protests are planning to disrupt traffic by repeatedly using pedestrian crossings to slow down vehicles. Similarly, by law, all protests must be declared and authorised by the local administration beforehand. Some drivers are reportedly planning to place high-vis jackets in prominent positions on their car dashboards tomorrow too, in solidarity with the protesters. Rumours had warned that drivers with jackets on their dashboards could risk fines of up to 150 if they were stopped in the act by police, but this has since been debunked. Verbal or written warnings should only be given if the jacket affects the driver's ability to see or drive safely, or if any jacket appears to cover up the vehicle's number plate.